Please note that you must complete a separate order for personal copies. Please complete the following fields to calculate the cost to bind and print your thesis. Please enter the number of pages within your thesis that are black and white or colour. Please note that even one dot or hyperlink in colour is still counted as a colour page and please double check that Black only pages contain no colour before uploading your document. Please ensure that your count is accurate as we do check each thesis - miss-counting can lead to a delay in your work. How many copies of your Thesis do you require? Please enter how fast you need your finished Thesis/Theses? Please note there is a 5% discount on binding 4 + copies of the same format. Different prices above reflect the speed of service. 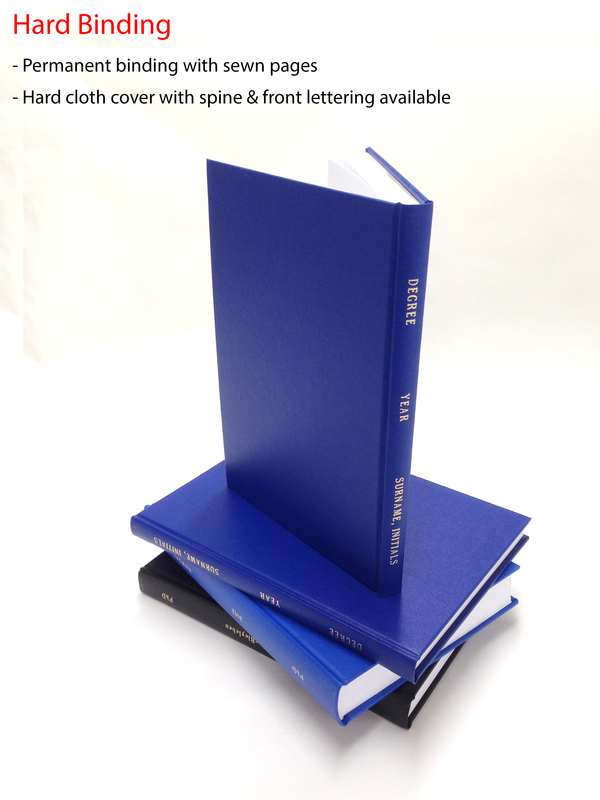 Spine lettering: Included in the print and binding costs as per university requirements. Front cover lettering: University copies do not require front cover lettering, this can be added to personal copies only for an additional fee of £7. Please note that delivery timeframes are in addition to the speed of the printing/binding turnaround selected above. How would you like the Thesis/es to be delivered? IMPORTANT: If you are selecting delivery to UCL please click here for further information on submission and delivery times. All of the above delivery methods are for UK mainland only. We can deliver to the highlands, Southern / Northern Ireland and abroad but please Contact Us with details and to obtain prices. Often we can only supply a price once the work is complete; this is due to differing weights and postage rates.